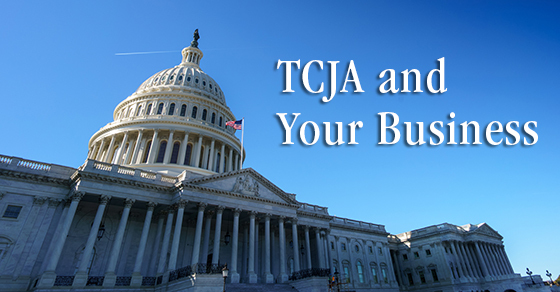 The recently passed tax reform bill, commonly referred to as the “Tax Cuts and Jobs Act” (TCJA), is the most expansive federal tax legislation since 1986. It includes a multitude of provisions that will have a major impact on businesses. Here’s a look at some of the most significant changes. They generally apply to tax years beginning after December 31, 2017, except where noted.